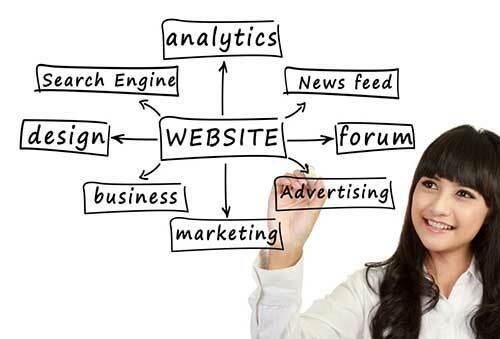 The perfect website can draw in visitors and help you convert those visitors into customers. Coastal Design Management, CDM, offers a full range of web design services that does just that. Our goal is to create a customized, professional page that sets you apart from the competition. Anyone can create a website--CDM designs a page that meets your customers' needs and exceeds your design expectations. Mobile Responsiveness - Today, more than ever, customers use mobile devices to access the web. We create websites that look great on all devices. Fast Loading Times - Our goal is to get the message across in five seconds or less. Crisp, clear pages are more effective than clunky, slow designs. Intuitive Navigation - Our navigation is created to be user-friendly. We want your visitors to find their way through your site with ease. Consistent Branding - Logos, colors, fonts and designs should be consistent from one page to another. We want to build your brand and make it memorable. Effective Product Presentation - Placing products in a way that makes them appealing is important. We also create an easy-to-use buying experience for your customers. Easy Access to Contact Information - Social media links, email address and contact forms are always just a click away. Customer-centric Design - The focus of your page is always on the needs of the customer©not how great your company is. The customer-centric design is appealing and encourages visitors to return time and again. Building Trust - We help you create clear policies and give customers access to you as a company. Building trust is not easy, but our designs make it possible. We know you have big plans for your company--let us help you accomplish them. A professional website is a key that opens doors online. Contact us at CDM today to learn more about our design services.